This guide is created to help you fix the error message in the Mail App in Windows 10. The steps below will suggest you two methods to solve the Error code 0x8500201d and configure the Mail App account. “Something went wrong; we can’t sync right now. Error code: 0x8500201d“. What this notification signalizes is that there might be a problem with the synchronization of the Mail App account. This could be either due to some sync issues or there may be a problem with the configuration of the mail account itself. Either way, in the guide below we will show you how to fix this problem and use your Mail App again. 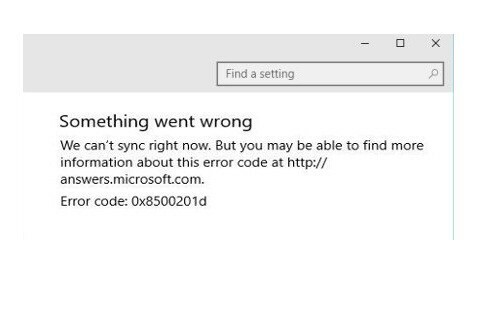 In case you are facing Error code 0x8500201d “Something went wrong; we can’t sync right now“ message in your Windows 10 Mail App, here are two solutions that may help you get it solved. Method 1: Disable and Re-Enable the Mail App synchronization. First, you need to navigate to the Mail App. Select “Setting” and click on the Settings button. If you are using Mail App on a smartphone or tablet, you will find the Settings option if you navigate to the bottom of the page. Then, select “Manage Accounts”. There you will be able to see the configured accounts of your Mail App. Simply click on the account that is unable to synchronize. There you will have to disable the sync option. Once disabled, the account will no longer be visible in the list of synchronized Mail App accounts. Close the Mail App and open it again. Then add your account anew by re-enabling the syncing option. This should fix the error. A list of all configured accounts will appear. Select the account that is problematic. 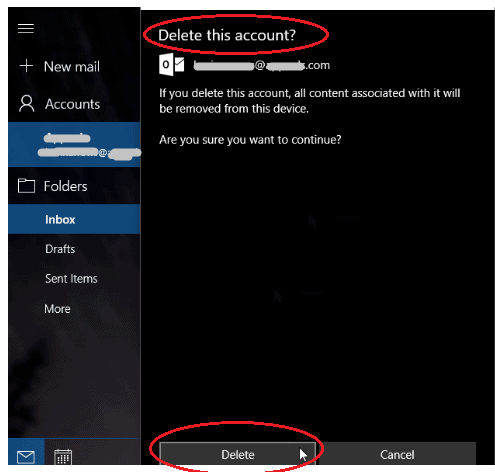 Select “Delete” to remove the account from Mail app. Then, close the Mail App and open it again. Configure it again and if everything is right the error should have disappeared and the sync should be working again. 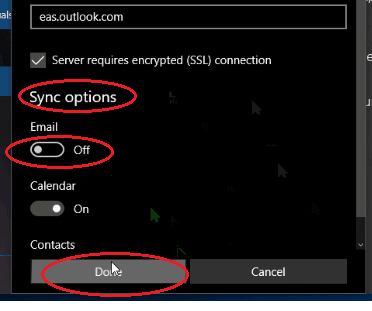 We hope that the two methods we gave you above will manage to help you fix the problem you are facing with the Mail App Error “we can’t sync right now” in Windows 10. In case that you know another fix that works as well, please let us know in the comments below. We will be more than happy to add it to the guide and help other people as well.